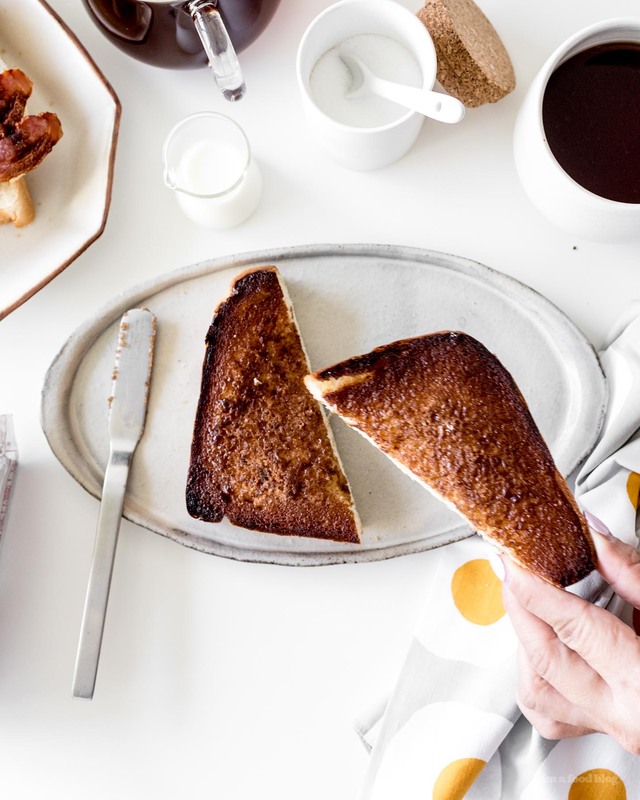 You've been making cinnamon toast all wrong! Upgrade your cinnamon toast with a hint of vanilla for that perfect cinnamon-y sweet toasty crunch. Lately, Mike and I have been starting every day with a slice of toast. It’s kind of novel for us because we usually go for a very simple breakfast of: coffee for him and decaf coffee for me. Sometimes we have eggs and for a while, after he had gone out and found some on sale one morning while looking for more coffee, we had bacon everyday – nothing excessive, just a slice each. Suffice it to say, first breakfasts are usually a casual affair. They’re the fuel I need to get going until second breakfast or lunch. Anyway, toast is the best! I love the magic of toasting bread. When I see loaves of bread, I’m forever thinking, “Imma toast you and you’re going to be even better than what you are.” Toasting is to bread what going to the gym is for people. They/you go into the toaster/gym: pale, fluffy, and kinda doughy. They/you emerge: hard bodied, golden, toned and firm. Everyone wins! Ultimate deliciousness. 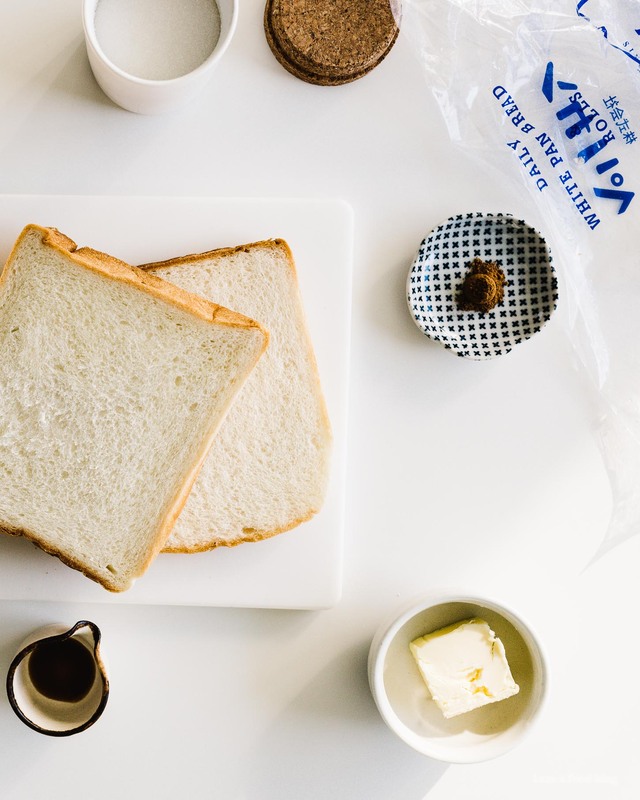 My love for toast is so deep that when Mike and I were in Japan in October, we bought a loaf of bread intending to bring it home to toast. Yup, I cradled that loaf through the streets of Tokyo, tucking it next to me on the plane, to bring it to its rightful place on our countertop. 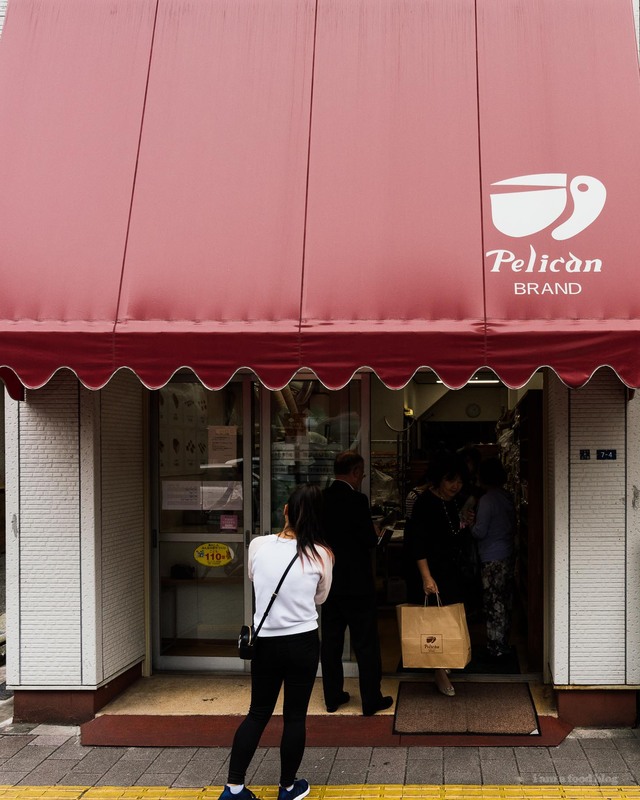 It wasn’t any loaf of bread, no it was from Pelican Bakery, a beloved Tokyo shop that’s been making loaves for 75 years. I’m currently working on a post about them and my obsession, so keep your eyes peeled. The loaf from Pelican is perfect for cinnamon toast: fluffy and white with a very fine tender crumb. It’s one of my favorite loaves so I knew I had to treat it right and give it the cinnamon toast treatment. I just love cinnamon toast! It seems pretty polarizing though, I’ve definitely talked to cinnamon toast haters. For the lovers out there, cinnamon toast seems like it’s a very personal thing. 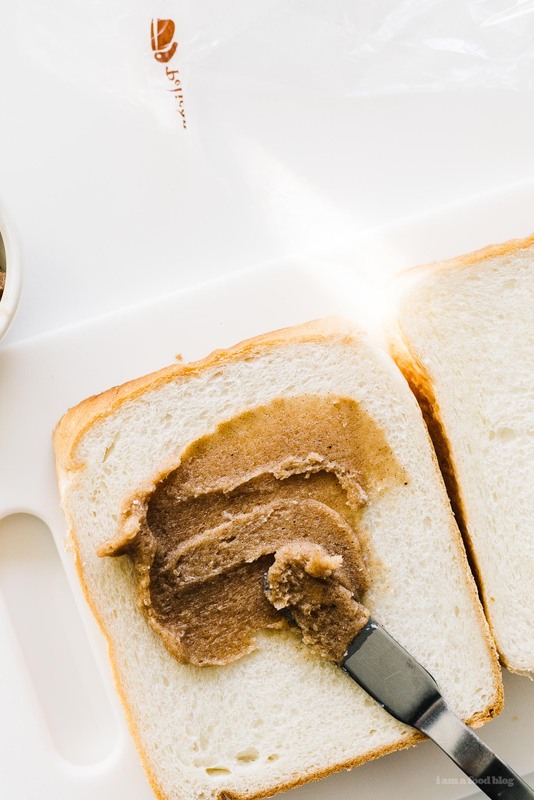 People who love it have to make it just so – they have their own mix of cinnamon to sugar ratio, their favorite bread, how light/dark they toast it, and the variations go on. 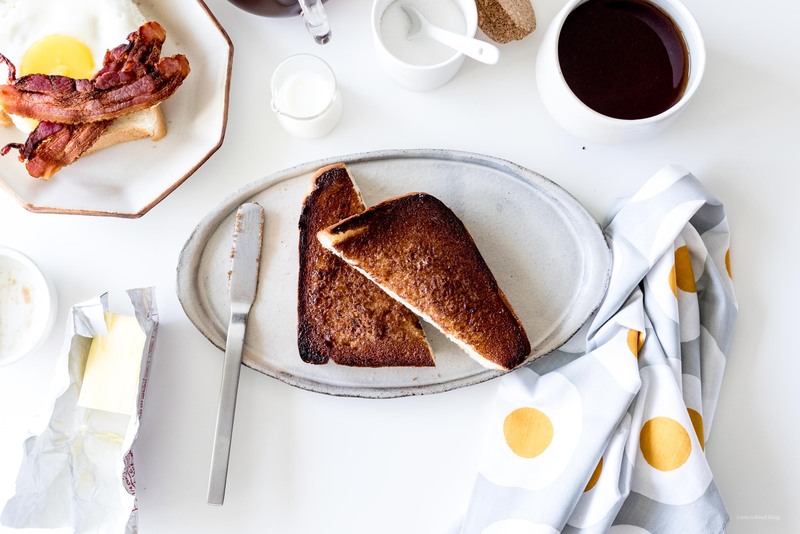 I used to make cinnamon toast like this: toast, then butter, then a sprinkle of cinnamon sugar. Then I had cinnamon toast at Trouble Coffee in San Fransisco and got obsessed with figuring out how to make better cinnamon toast. 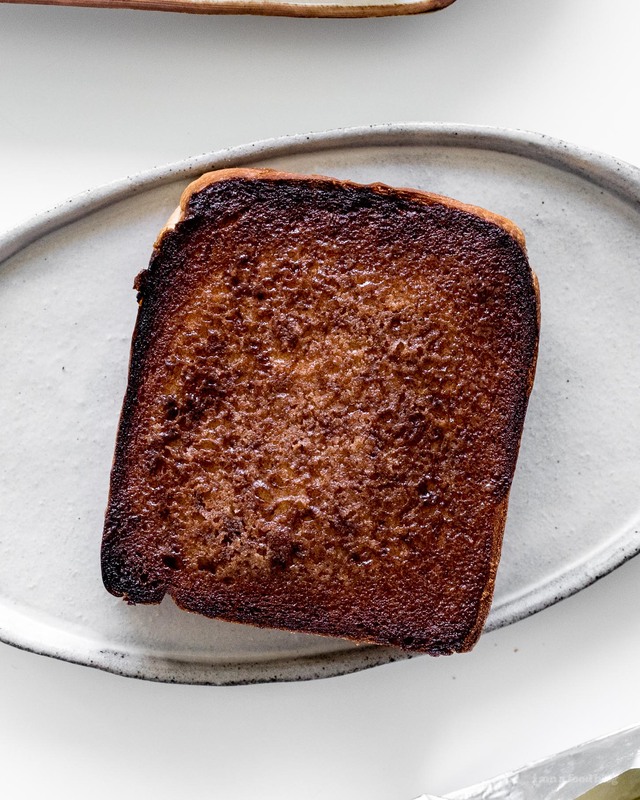 I did a deep dive and did some side by side taste tests and decided that this is my ultimate cinnamon toast: cinnamon sugar butter on bread, in a warm oven until the butter melts, then a quick broil for a bit of caramelization. The sugar is crackly and cinnamon-y and the bread is crisp on the outside and fluffy on the inside. SO GOOD. 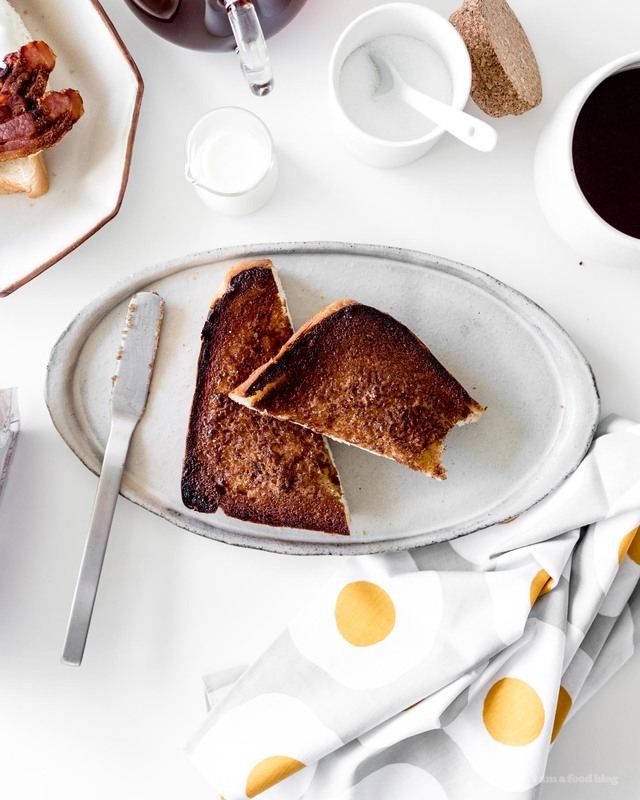 Fall is the best time for cinnamon toast, so get your toast on! Cream together the butter, sugar, cinnamon and vanilla. Spread cinnamon butter mixture on the bread making sure to go all the way to the edges. Place the bread on a baking sheet and bake for 10 minutes. Turn the broiler on and broil until golden and bubbling, 1-2 minutes. Let cool slightly, then enjoy! 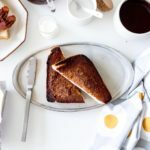 Your comparison of “toast to bread is what the gym is to people”, is quite possibly the best thing I’ve read in at least a week – this cinnamon toast sounds delicious and seeing as I can’t remember the last time I had some, I think that means it’s time to spoil myself and Himself this weekend with a cinnamon toast Saturday – thanks for the recipe! heehee thank you! hope you and your man enjoy your cinnamon toast saturday! I love cinnamon toast. I use a similar recipe. Sometimes I add a tablespoon of condensed milk, or honey to the mixture as well. My kids love it. ooh condensed milk mixed in sounds amazing!